Flock to the farmers market for this chicken fiesta on May 4th! Join us as we team up with Urban Chicken to bring you the best of backyard birds! Come learn about what it’s like to have your own flock as we talk about Chicken 101! Meet some feathered friends from Urban Chicken, learn about the different breeds of birds, get hands on with chicken crafts, and maybe win a coop!!! HELP US BUY A VAN FOR THE MARKET!!! 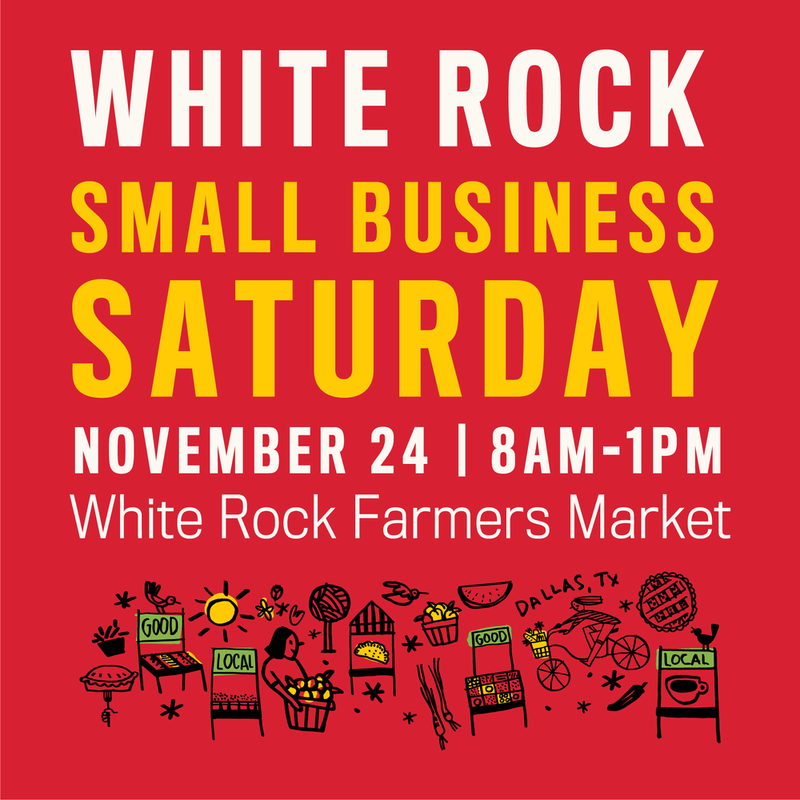 Ya’ll we are in our 11th season of White Rock Farmers Market, which means for 11 market seasons we have been hauling around the market tents and supplies in our PERSONAL CARS or we have spent countless hours at U-Haul. 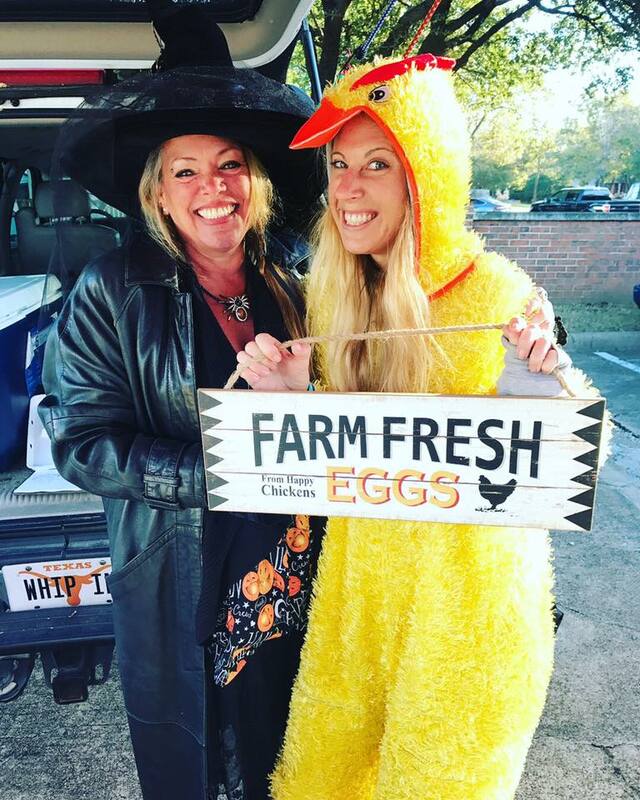 Help us buy our OWN FARMERS MARKET VAN that we can not only cart around the farmers market set up, but also so we can bring our own chickens to libraries, schools, community centers and more for our education programs! Your raffle ticket purchases to win the new chicken coop will all contribute to our Van Fund! Get green for buying greens at the market! Every time you buy produce at the market, you are eligible to enter our monthly raffle for Green for Greens. Winner receives $20 worth of tokens to be spent at the market. Winners are announced by email or phone call. Just another reason to buy produce from local vendors at our farmers market locations! We love having local tunes at the market! 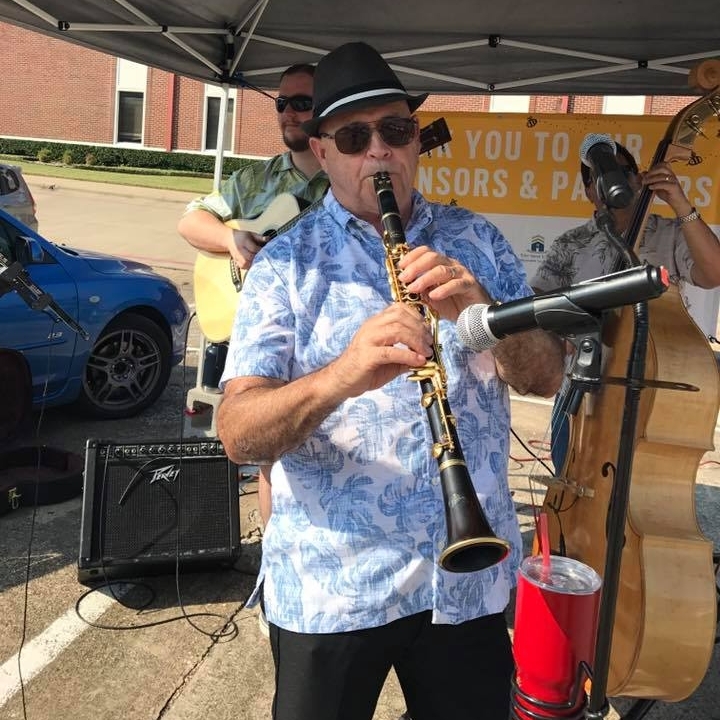 Come for lunch and enjoy live music at the market! We are looking for high school bands to join us for the 2018 season! Pedal for Produce is a program that provides benefits to those who bike to the market! Purchase a Pedal for Produce sticker from our markets information booth and each time you bike to the market and show your Pedal for Produce sticker, you receive a $1 token to spend at the market! Join us at Paul Quinn Market to shop and to see the farm! This is an incredible opportunity to get one step closer to learning where your food comes from and to learn more about this football field turned farm! Join us Thursdays at the market located right by the farm! Chicken Day at the Market! 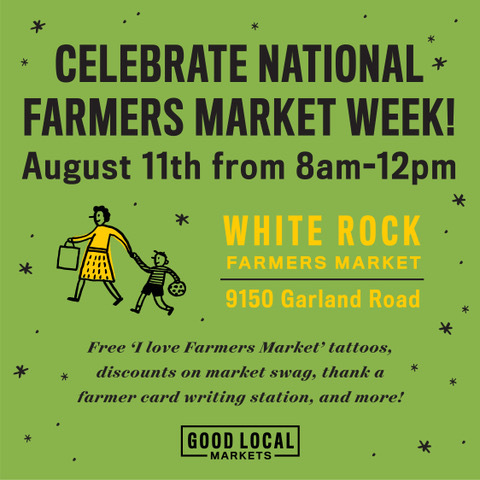 Flock to White Rock Farmers Market on July 7th as our feather friends from Urban Chicken come out for our second annual Chicken Day at the Market! 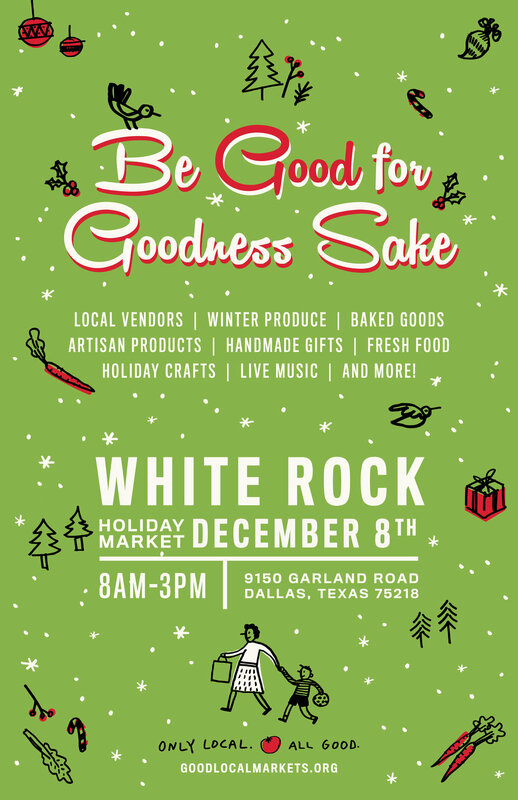 Come see backyard chickens, chicken 101 class, chicken coop raffle, chicken little kids corner, and more! Join us at White Rock Farmers Market on April 7th from 8am-1pm as we celebrate Earth Day at the market! Come tour tiny houses that were locally built by Indigo Tiny Houses and learn about sustainable tiny living! Spend $50 or more at the information booth on market tokens and receive a free Texas tree from the Texas Tree Foundation! Shop local farmers, ranchers, beekeepers, bakers, and makers and learn about how eating locally and seasonally is good for mama earth. 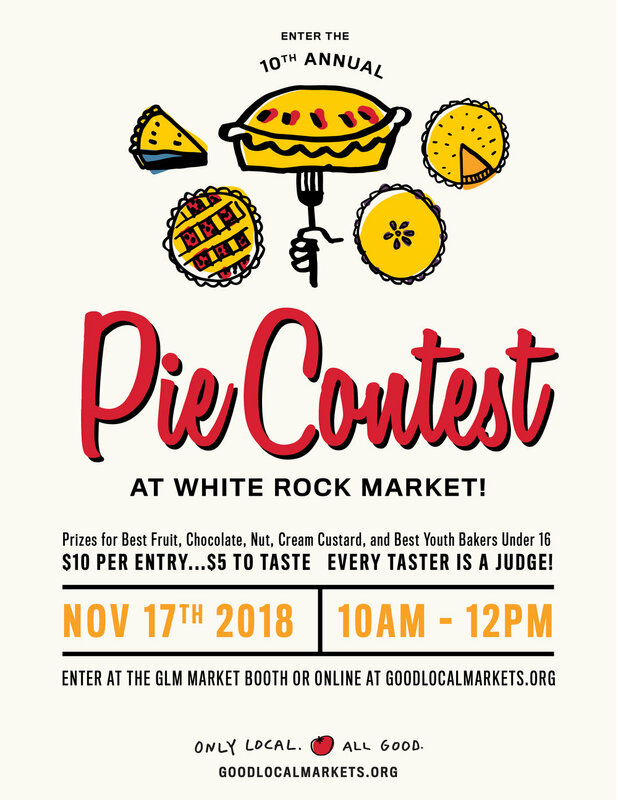 We are so excited to partner with V-Market once again to bring you a vegan inspired pop up market at White Rock Farmers Market! Join us on May 19th at White Rock Farmers Market from 8am-1pm as we dedicate a section of the market to all local Vegan Vendors! Come learn about plant-based and ethical eating does for not only the environment but for your health! Learn something new about what it means to be vegan, and come taste and try vegan food from all local businesses.